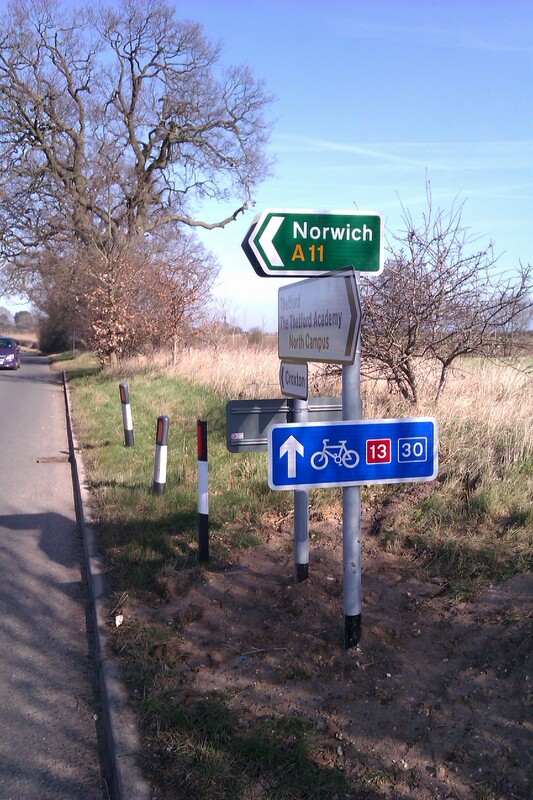 I did another route inspection today of my bit of NR13 and RR30 between Thetford and Weeting. I’m please to report that all the signs were still in place, so there was no work for me to do. 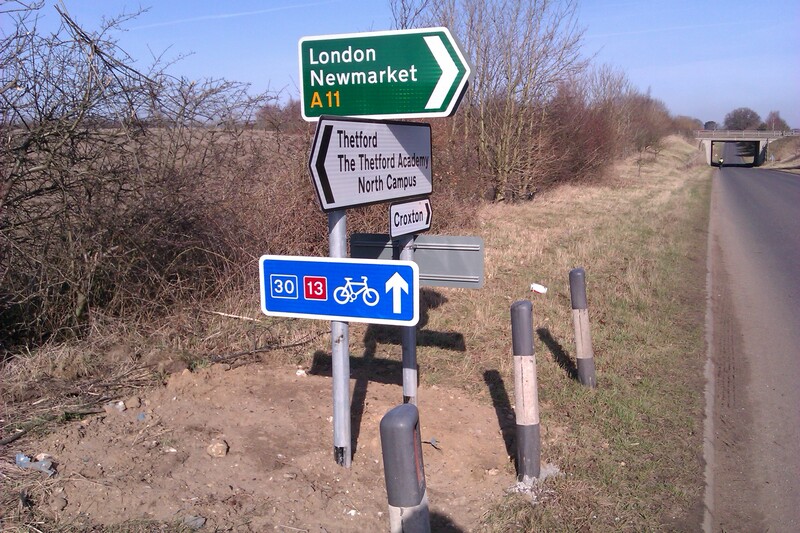 One thing of note though, the Highways Authority seems to have replaced the signs on the A11 slip roads to and from Croxton Road, and in the process have adding nice big cycle route signs for the Sustrans routes, including a blue 30 this time instead of just a red 13.